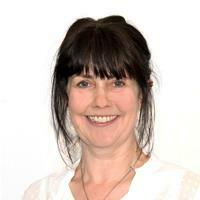 An update from Cllr. 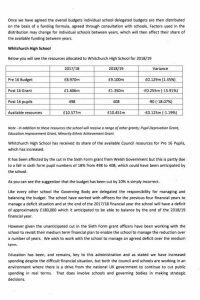 Sarah Merry, Cabinet Member for Education, on the funding situation at Whitchurch High School, this demonstrates that a 10% cut to their budget, hasn’t actually been the case. 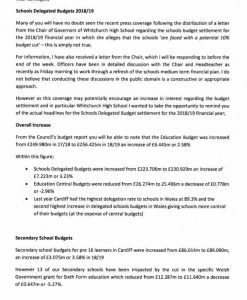 We haven’t, as yet, heard from the Chair of Governors for a response.